While the winners of the 2017 MarCom Awards won’t be announced for a little bit, we’re showcasing select entries that stand out. Las Vegas is notorious for its exceptional entertainment, casinos and hotels. Among these is Wynn Las Vegas, a resort and casino that not only boasts memorable entertainment and nightlife, but also exquisite restaurants. Wynn collaborated with Tastemade, an online food and traveling resource, as part of Tastemade’s Making the Menu series. The site took a behind-the-scenes look at Costa di Mare, Wynn’s award-winning Mediterranean and Italian cuisine restaurant. Tastemade’s video walks through how Costa di Mare sources their fresh seafood, wine list and in-season ingredients, as well as how house chef Mark LoRusso chooses his nightly menu and prepares seafood tableside. The video showcases Costa di Mare’s authentic Italian ambiance and Wynn’s unparalleled dining options. The 2017 hurricane season was one of the most lethal in history, with thousands of people displaced due to severe weather. Once the storms cleared, citizens returned to their homes to find severe flooding or other catastrophic property damage that could take months to repair. Lowe’s dispatched a disaster response team to lend a hand during the weeks following hurricanes Harvey and Irma. The volunteers coordinated efforts to help remove debris, reconstruct housing and extend neighborly support during a trying time. Millennials are waiting longer than past generations before taking the plunge into home owning, with most millennials renting for up to six years before purchasing a home. Century 21 wanted to refresh their well-established brand to reach millennials approaching the average home buying age of 31. The real estate agency worked with Likeable Media to brainstorm fresh ideas to establish their brand in the millennial audience. Likeable Media dreamt up a brand refresh and social media campaign to establish Century 21 not only as a reliable resource for home-owning information, but all things related to adulting. Century 21’s new Adulting 101 website features tutorials for adulthood’s daunting tasks, including how to hang pictures, wedding guest attire and navigating financial challenges. Along with the website refresh, Likeable Media coordinated a campaign featuring various adulting tutorials and adulting failure videos on Century 21’s Facebook and Instagram platform. The campaign successfully generated more than 140,000 clicks leading to Century 21’s Adulting 101 website, 6.1 million video views and 36 million impressions. Likeable Media established Century 21 as a reliable source for information beyond only home owning decisions by approaching the millennial audience in a familiar, but fun, format. To see the full Adulting 101 website, visit here. Cyber threats are some of the most prevalent security fears in today’s day and age. With most people using at least one connected device in their day-to-day life, the need for high-quality device security is greater than ever. SonicWall, a network security provider, was faced with the challenge of communicating the benefits of their product in a busy market. To address this challenge, SonicWall approached Dallas-based agency Imaginuity to revamp their website and coordinate a digital campaign surrounding their products. Imaginuity combined common cybersecurity fear with SonicWall’s reputation as a trustworthy security provider to create their Fear Less campaign. Imaginuity redesigned SonicWall’s corporate website using clean graphics and pops of color. The site features product information, as well as a series of illustrations depicting typically fearsome, or fearless, animals to feed into the new “Fear Less” message. The agency coordinated a web campaign using the animal illustrations in addition to the website redesign. The campaign incorporates animal imagery with messaging playing off common cybersecurity fears to represent how users can worry less about cyber threats when using SonicWall’s trustworthy products. Coldwell Banker Caine in Greenville, SC wanted to recognize their team members’ success both inside and outside of the office. To recognize their employees’ community efforts, the firm launched the Caine Cares community service platform, an initiative supporting arts, health and wellness, animal welfare and human services development throughout upstate South Carolina. The firm approached Flourish, an interactive communications firm, to coordinate a strategic communications campaign to spread awareness of the Caine Cares movement. Flourish coordinated multiple community events backing the Caine Cares initiatives and supporting traditional and social media surrounding the events. Flourish’s campaign for Coldwell Banker Caine finishes its eight-month run in November. The campaign successfully coordinated eight social outreach events, five media opportunities and multiple social conversations surrounding Cain Cares. National Geographic is a leading resource for global science, culture, geography and education. The organization runs one of the most successful social media presences online by using colorful storytelling to engage with followers and inspire others to tell their own story. The premise of the project was to work with people worldwide to address global issues, including our impact on the planet, improving overall health, and feeding 9 billion people worldwide. 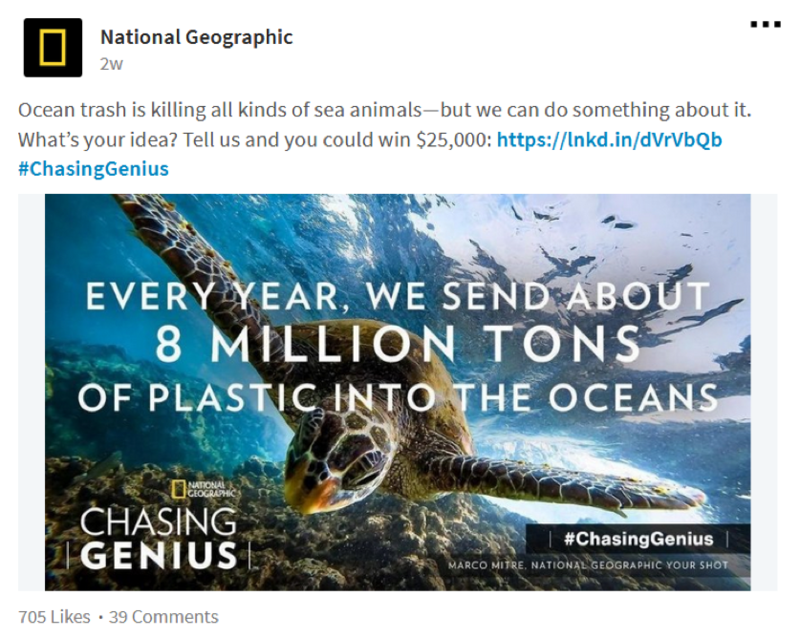 National Geographic encouraged people everywhere to send a one-minute video to the CHASING GENIUS platform describing their vision for a solution to any of the three problems. A panel of judges chose three winners and CHASING GENIUS users chose a fourth “People’s Choice” submission. Each winner received $25,000 to take their solution to the next level. 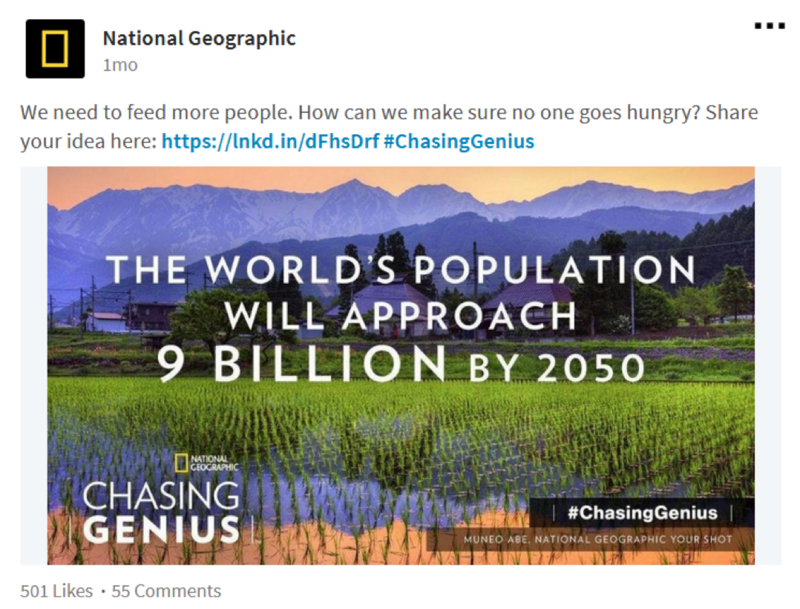 The CHASING GENIUS campaign garnered more than 19 million entry video views, 3 million social conversations and up to 20,000 community members. 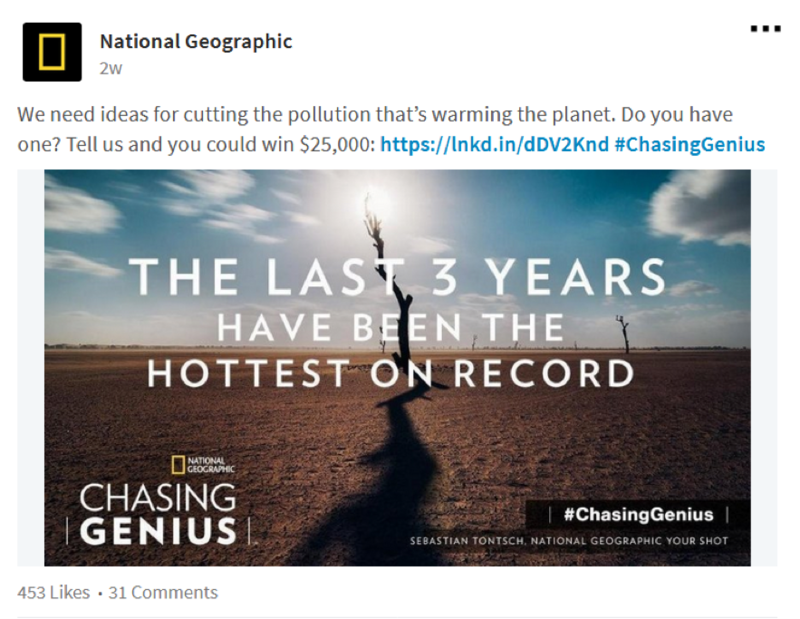 National Geographic successfully used its platform to spark global conversations and inspire to work together towards change. To view the 2017 CHASING GENIUS winners and learn more about the project, visit here. With online shopping becoming the norm, retailers are grasping for ways to convince consumers to visit storefronts. 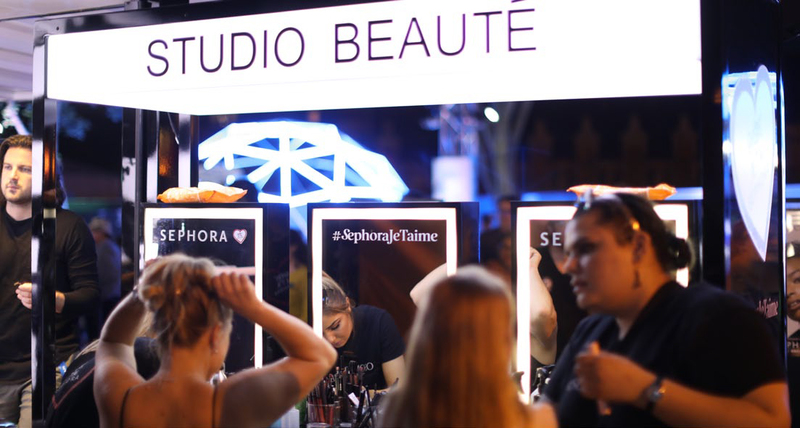 Sephora was faced with this challenge when dreaming up a campaign to reach consumers directly in Toronto and approached Loki Box Design to help create a space to attract potential customers. Loki Box Design worked closely with Cinco, a brand agency, to create a pop-up booth for the Sephora Loves Toronto campaign. The space needed to be easily transportable but represent the brand well. Loki achieved this by building a 16-foot, Sephora-branded beauty studio that features 12 make up stations, a central meet-and-greet area, and a demo space. 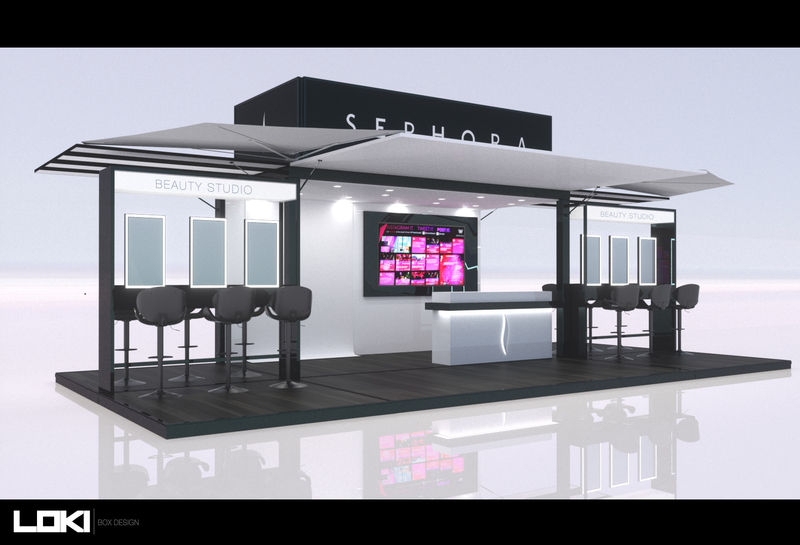 The booth was such a success that Loki Box Design created a second pop-up beauty station to continue Sephora’s Canadian campaign. The booths have stopped in various malls and major festivals nationwide. 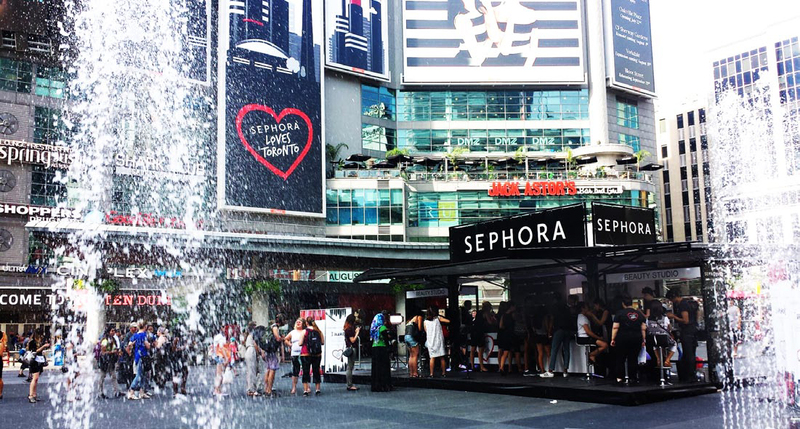 The Sephora pop up, a mobile beauty studio experience! from Loki Box Design on Vimeo. 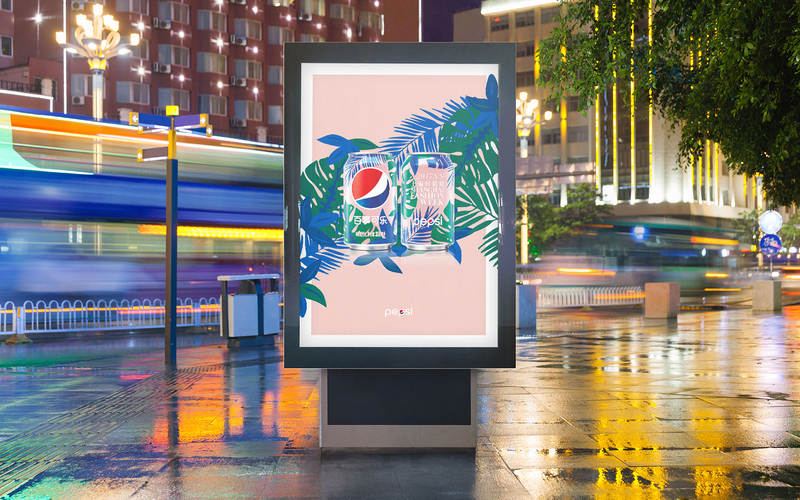 PepsiCo Design & Innovation stays on top of trends to identify new opportunities for partnerships and collaborations for their portfolio of brands. 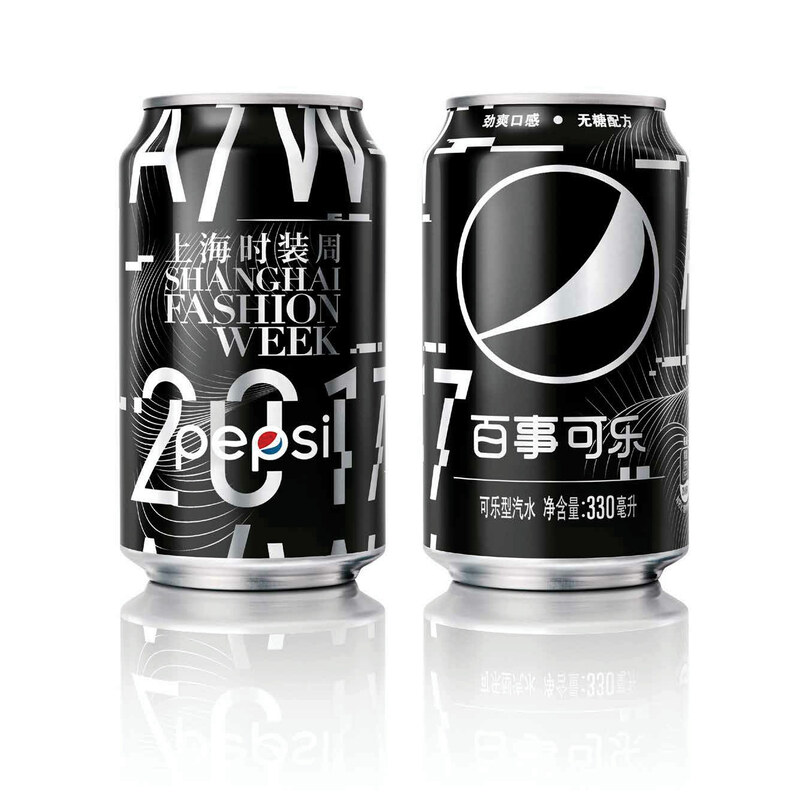 One of their most recent endeavors was a collaboration with Shanghai Fashion Week to design limited edition cans for both the 2017 Spring/Summer and Autumn/Winter seasons. Pepsi incorporated their “Live For Now” in each of the designs. 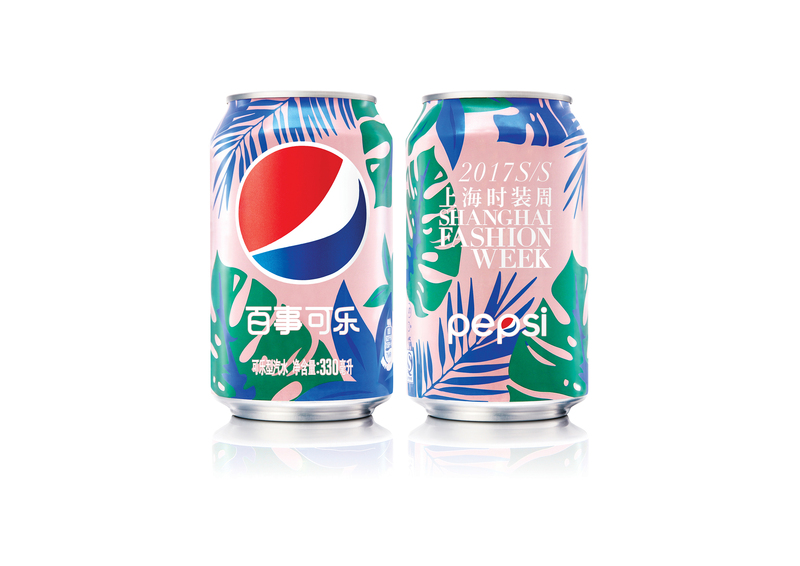 For the Spring/Summer designs, Pepsi went tropical with palm and fern leave silhouettes on a light pink background. The Autumn/Winter designs featured bold, text-focused graphics with wavelengths. Both of the designs were featured in magazine ads and billboards as well as on special-edition Pepsi cans and other merchandise. 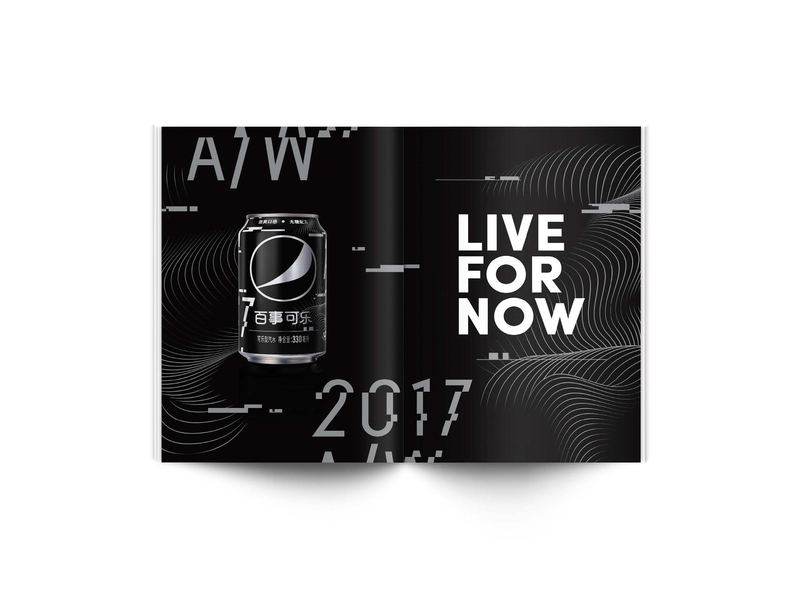 PepsiCo Design & Innovation incorporated Pepsi’s “Live For Now” message while staying on trend and in season. How do you promote a sustainable product in a sustainability-rich environment? Volume Public Relations was faced with this challenge when Cerveza Imperial approached the agency to develop a campaign to build brand awareness in Colorado. Volume Public Relations and Cerveza Imperial chose to leverage the fact that Imperial is the only “water positive” beer in the world, meaning the product has a nonexistent water footprint. The agency faced the challenge of differentiating Imperial from the numerous craft breweries in Colorado, and spotlighting Imperial’s sustainability in an already eco-conscious environment. 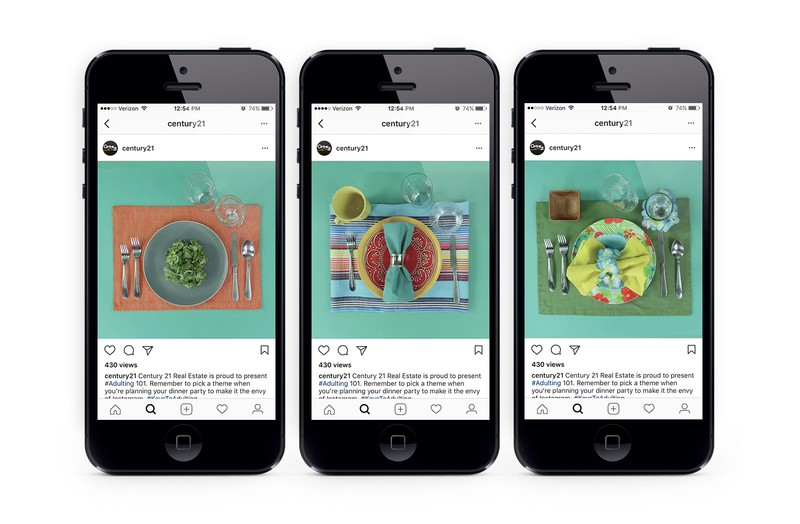 The agency coordinated a campaign utilizing event planning, social media and traditional media to communicate with consumers on multiple platforms. Volume Public Relations and Cerveza Imperial worked with a Colorado-based nonprofit, enrolled in local beer festivals, invested in water-conservation initiatives and sponsored a fundraiser to project Imperial’s message. The campaign spanned six months and successfully generated more than 250 online press releases, 30 broadcast segments, four unique print articles and increased sales by 20 percent. Thanks to Volume Public Relations’ award-winning campaign, Cerveza Imperial differentiated their brand in a congested market. Virtual Reality is not brand new, but new enough to pose a challenge as to how properly utilize it’s unique character. Most of the VR experiences in marketing and journalism are users interfacing with the images of a 360-camera. Often no context is given. Morgan Stanley recently commissioned a website that explores climate change around the world through VR. Not only are the images stunning but the context of what you are seeing is delivered through heartfelt narration by those experiencing the upheaval.